Here are some links to howrse related sites that may be helpful. This includes links to layout and banner sites, howrse fan club sites, and others that provide unique howrse information. If you would like to submit a link to be considered for this page please contact a member of the ILAH team. That's right everyone! We know it couldn't get any better... an Inside Look at Howrse is on Facebook! So please do as the lovely image to the left side of your computer screen says and like us! Also, add us as 'Susie Lou'. And please let your friends know they can find us on facebook! Thanks ladies and gents! You rock! http://crystallinegraphics.yolasite.com/free-layouts.php is run by An Inside Look at Howrse's very own RoseOfDawn. The site includes several free layouts that are super cute and also features information on how to get your very own presonalized layout or banner! It's a wonderful site, and is very easy to navigate. It is our top pic for free and custom made layouts and banners! The Craxor Cluwb is exclusively for howrse and helps breeders and managers of ecs to effectively improve their strategy. It is made by some of the most experienced and highly ranked players on the game. It comes with helpfuls lists of all the specials and divines, includes helpful hints, xanthos stroke links, and much, much, much more! It's great for both experienced and new players on howrse. So go check it out at http://craxor.free.fr/crixorcluwb/index.php . It is well designed and made for easy viewing and searching. Check out this site for a free banner maker, layout generator, and more. It is fairly easy to use and the layout generator only allows you so many options but the ones it offers are nice. Go to www.howrseinfo.com to see if you like it! It also is pretty simple to navigate, although is has recently been part of a spoof email occurence that has bred some suspicions as to the site's legitimacy, but the team here trusts it. The howrse portal is a fansite for howrse players where you can chat with fellow howrses about the game. It is a decent looking site with many members and a wonderful staff. It has a full fledged forum where you can chat with members about almost anything and enjoy conversations with people who also love the game. You can join groups and become a member by registering. If you want to check it out hop on over to http://howrse.niceboard.net/portal.htm and see it for yourself! Horse Lover Layouts is a great place to search for free layouts as well as custom layouts. It is fun and easy to use and has some of the best layouts for howrse. Layotus can be breed specific or simply just one you like! 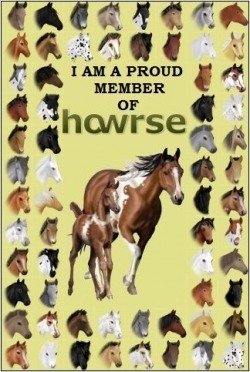 Check it out at www.horse-lover-layouts.com. Hope you find something you like! The howrse fan club on fanpop.com is a small site with quizes, horse v. horse voting, video links and a few older articles. It also has a photo gallery of older horse photos and such and has a forum where people can chat about the game. It seems to have been a while since it was edited but like the craxor site it has a few of the riding level answers. to check this site out visit www.fanpop.com/spot/howrse and see for yourself! Check out www.youtube.com and find the Kjumper4Howrse videos! These are videos made specifically for An Inside Look At Howrse! Also if you make howrse videos or find a great one about howrse or horses than pm Kjumper with the link(s) and you may find your videos on the site! Thanks!